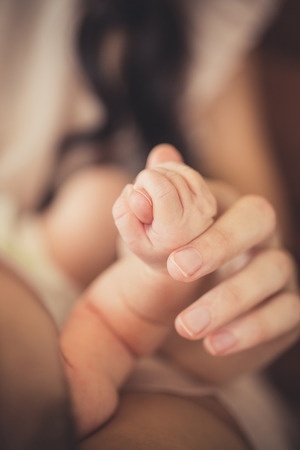 Caring for your baby’s soft and delicate skin is important. What can you do to ensure that their skin stays hydrated and healthy? With more and more common skin allergies and problems (such as eczema) affecting young children, what are the prevention methods available and how can you manage it? Find out more from Dr Ong, who will share useful tips on caring for your baby’s skin. Every parent’s wish is for their child to grow up healthily. Hence it worries us when we notice that our child appears to be taking a long time to hit their milestones compared to their peers. 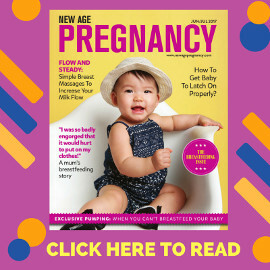 While certain aspects of our child’s nature and growth cannot be rushed, there are things parents can do at home to nurture their baby and to help them in their development. Many mums may need to continue breastfeeding after going back to work to ensure optimum nutrition for their babies, hence there is the need to facilitate breastfeeding at work. What makes a workplace supportive towards their staff who have to pump at work? Is it possible to pump even if there is no proper lactation room at work? Hear NTUC U Family’’s Project Liquid Gold team share on real-life examples of supportive companies and creative ways to pump at work. Join us for a demo on some ways you can do a quick release of your discomfort and exercises to a fitter you during your pregnancy. What’s your thought when it comes to breastfeeding? Is it painful? Do I have the milk needed? What’s the difference with milk powder and breastmilk? How can I transit my child when I go back to work? How to increase my milk flow? Join us for the introductory session on breastfeeding! Would you like your baby to enjoy water? Is baby’s phobia of water connected to parents? How to encourage your baby to flow into the water with smiles? The workshop will provide you with the insight of the making of water babies and essential water safety for homes and pools. * Please wear comfortable clothing, parents will be seated on the carpeted flooring for the exercises. Recommended to bring own mat. Learn about your baby’s language development and what you can do to promote it. 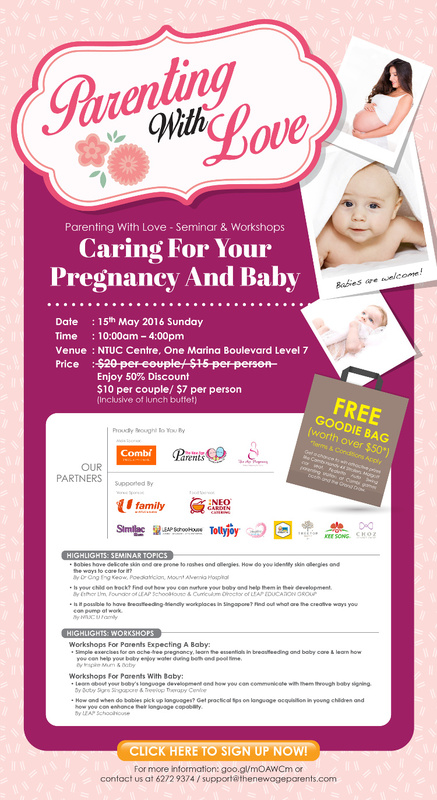 With clear information and hands on activities, speech therapists from Treetop Therapy Center and instructors from Baby Signs Singapore will show you what you can do to help your baby communicate, reducing frustration for both baby and caregiver! How and when do babies pick up language? When can I start introducing a second language to my child? What kind of books should I be picking out to read to my child? Find out the answers to these and more at our workshop where parents will learn practical tips on language acquisition in young children. Are you able to move with grace and agility? Join the stroller obstacle and navigate through the obstacle course. 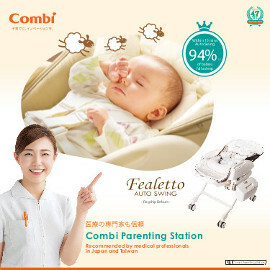 Guess what, you will stand a chance to win a Combi Handy 4X stroller. Stroller provided. Car seat protects you baby on the road but do you know the fitting of the car seat is very important too? Try installing the car seat at this game station and you get a chance to walk away with a Combi car seat! Car seat provided. Our kind sponsors include: Combi, NTUC U Family, Neo Garden Catering, LEAP SchoolHouse, Abbott, Tollyjoy, Kipling, Palmer’s & My Gym. *For participants who signed up as a pair, you will receive ONE goodie bag. * Read more on the Terms & Conditions here.